*The following information has been provided by Dr. Phil Zeltzman, a board-certified veterinary surgeon from Whitehall, Pennsylvania as a courtesy to goodnewsforpets readers. The following article is only for the sharing of knowledge and information; it is not intended to replace consultation of a veterinarian or other qualified pet care professional. To subscribe to his newsletter, here. New regulations were passed in Pennsylvania in October 2008 to help dogs who live in puppy mills. The regulations went into effect in October 2009. The consequence is that it becomes more expensive to operate a puppy mill. More money… less profit… some will just shut down. Hundreds of puppy mills didn’t or can’t or won’t comply, so they were not able to renew their license. As a consequence, they were shut down, which means that thousands of dogs are suddenly in need of a good home. Of course, some puppy mills try to get around the law by getting rid of enough dogs so that they are not considered a commercial operation. All they need to do is to have less than 26 dogs. If they have more, they will get rid of them. Shelters, already overcrowded because of pet overpopulation and the economic recession, are simply overwhelmed. Dr. Mary Lombardo, a veterinarian at Mahoning Valley Animal Hospital in Andreas, PA, decided to help out. She accepted to answer a few questions for our readers. How did you get involved with these dogs? I received an email from a Pennsylvania dog law officer, who asked for assistance. I offered to help by spaying, neutering and rehabbing some of these dogs, and to try to find adoptive families for them. In addition to our own patients, we have taken in 24 dogs in 2 days. Eighteen of them were spayed. Four had to be euthanized. Two others will be spayed when it is safe, ie after they are not in heat anymore. Our local newspaper and TV stations have been involved to help raise awareness and try to get interest by people who want to help. We have already been able to place 12 dogs in homes. Four went to breed rescue groups, and the remainder is in foster homes. What do you know about the conditions these dogs lived in? They must have been living in wire cages because their feet were big, thick, and had sores or wounds on them. I do not think they had much exercise or positive human interaction. They were emotionally and physically deprived of a normal life, stuck in a cage, bred when they came into heat and discarded when they no longer were able to provide a source of money for the puppy mill operator. Which health issues have you witnessed in the dogs you have rescued? We have seen mammary tumors, bad ear infections, bad feet, tape worms, and behavioral issues. Many are frightened and not socialized to people. I was also surprised by the terrible health of their teeth. One dog had no teeth left in her mouth. They are not vicious dogs at all. They are actually very comfortable with other dogs. They are however poorly socialized to people. Most of the dogs were shy, afraid, cowering in the back of their kennels. When placed on the floor, some didn’t seem to know how to walk on a regular floor. Noises scared them. When placed in a room with other dogs, they got some comfort from being with them and seemed to relax a bit. They are not housebroken. They are probably used to relieving themselves in their wire cages. Two dogs were returned for trying to bite their adopters. But for them, biting is a fear response, not an aggressive behavior. Some of the dogs were more balanced and trusting, it seems like the smaller dogs or certain breeds were a bit worse. They are emotionally starved, they do not know how to play or interact, but they can learn. They need a lot of TLC. Whoever adopts them must be dog savvy people who have the time to dedicate to rehab them. What would you like people to know about puppy mills? Puppy mill operators use dogs to make money. Historically, to keep their overhead low, they have provided substandard care to these dogs with no regard for their emotional or physical health. They just keep them healthy enough to keep reproducing. Recently, the laws have finally changed to protect these dogs. I am afraid that some puppy mill breeders will do only the minimum requirements or find some ways to get around the law. This little newsletter is read all over the country, including in the Mid West, where puppy mills thrive. Some readers are veterinarians, all are pet owners. All are true pet lovers. What suggestions would you like to share?
. Please do not buy dogs from pet stores or dogs advertized over the internet.
. Avoid “breeders” without excellent references.
. One tip off may be a “breeder” with multiple breeds.
. Ask to see the parents.
. Ask for health clearances on the parents.
. Ask if they show the parents in any way: breed ring, agility, obedience, hunting sports.
. Some people have an odd belief that people who raise dogs on farms are breeding good dogs and care about them. In fact, some farms have the parents hidden in the back under poor conditions.
. Do not be an impulse buyer. Sure, with a reputable breeder, you may be put on a waiting list for a puppy, but it is worth the wait.
. Puppy mills breed for one reason: to make money. They do not care about the quality of the dog or genetic problems.
. Remember, the puppies may look cute in that store window and many get purchased, but their parents remain stuck in that puppy mill with no way out. It’s all about supply and demand, just like with real estate. If the demand decreases, ie nobody buys from pet stores, or pet stores don’t buy from puppy mills, it will eventually put them out of business. How can vets help out? These dogs have medical issues. Veterinarians can help with spays and neuters. Think about it, if every vet in America did one free surgery, look how many lives we could save! Lets start a “save a life” spay/neuter campaign- a way of giving back to the animals who have helped us get where we are today. 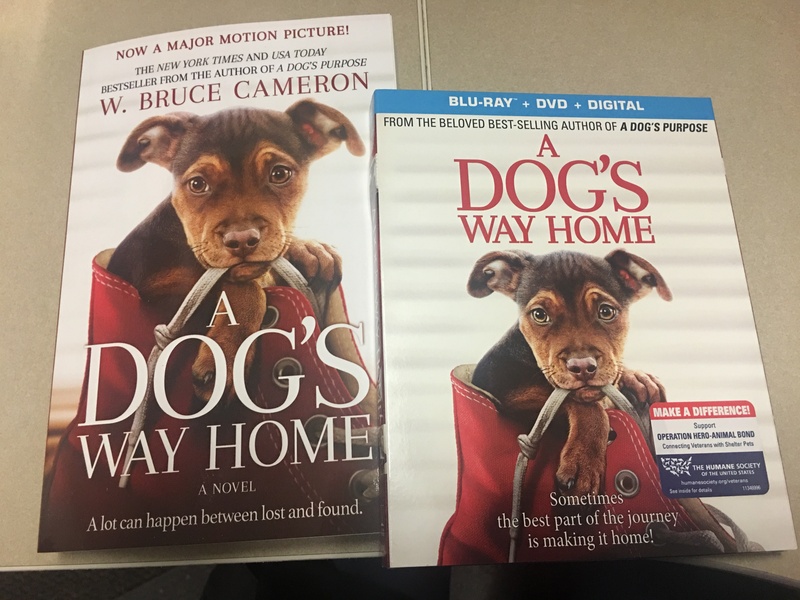 If a reader can’t adopt a dog, but is willing to help with supplies or a donation, however small, what could they do? Your readers can contact local breed rescue groups or shelters and donate time or money. Certainly, money can help with food and veterinary care. But you could also simply donate time to walk them, interact with them and socialize them.
. Visit petfinder.com to find a list of shelters and rescues.
. Visit stoppuppymills.org to learn more about puppy mills. It will take less than 2 minutes of your time. Don’t even THINK of watching the video unless you have a box of tissues nearby. A very interesting web site about the secret world of pet stores. The videos (see link on bottom left hand side), although tough to watch, are amazing, with undercover cameras at pet stores and dog auctions. OK, today’s newsletter was ever so slightly somber, so let’s relax a bit. I bet you thought that email was invented to communicate quickly. Well in fact, it’s because some people’s regular mail kept mysteriously getting destroyed. Find out why. It will take a whole 38 seconds of your time!